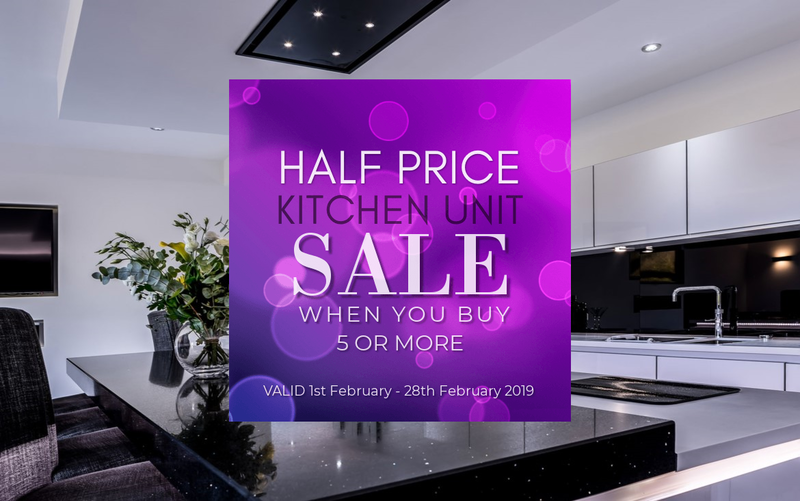 50% off Kitchen Units When You Buy 5 or More. First up, we have an amazing offer on kitchen cabinetry from all of our kitchen ranges. If you buy 5 or more completed cabinets including fronts, we will give you a fantastic 50% discount. What are you waiting for? Pop in to our showroom and see what we can do for you today. You won’t be disappointed, we promise.